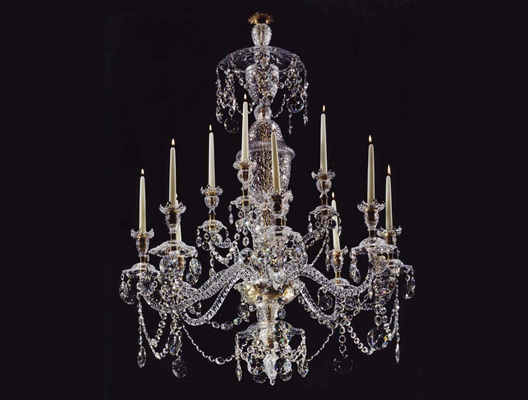 A highly important twelve-light Northern European chandelier, circa 1790, with a multi-baluster stem cut with pointed diamond and slice cutting, terminating in a flat cut multi-scalloped canopy. The main container supporting eight candle arms separated by four unusual kick arms, all with unusual canopies and candle nozzles. All hung with cut oval and circular finial drops. 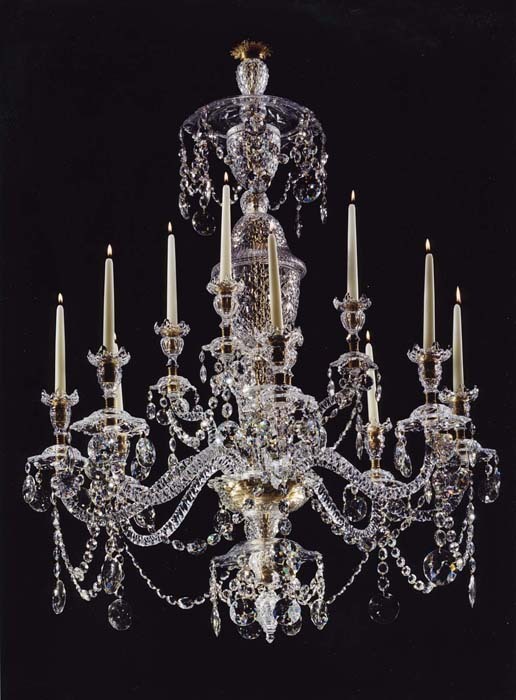 This chandelier is of important significance due to the fact that it is made of lead glass which makes it very rare to be of manufacture outside the United Kingdom. Height 51in (130cm). Diameter 37in (94cm).